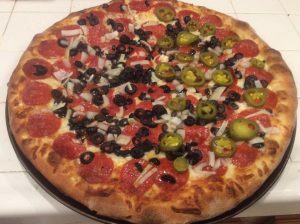 I mean it when I often say “Even bad pizza is still pizza.” However, here we’re looking for the best pizza, locally, in the San Jacinto Valley, and the chains, some of which vie for, or at least wade into fray of, the best pizza. I should know, I have been a lifelong pizza lover, nay, connoisseur, although it would take many years, and many pizzas to find pizza bliss, which so happens to be my own home recipe. That is not to say you, or anyone else, is not an expert, nor does it mean you should not have your own opinions on good pizza, however, it’s my website and I will write what I want, and what I think. Do comment below with your input as well! 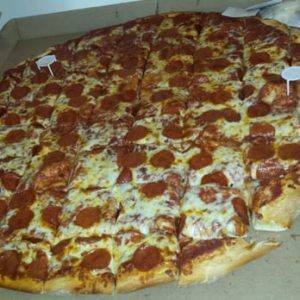 What Makes the Best Pizza Locally and Chains? Some of the things I have noticed in this town is the lack of good retail space for a good pizza place. And a scarcity of good pizza. Having been in the restaurant business for a good many years, I do know a little something about it. One must have a great location, a product (a delicious one helps), a well trained staff, and good cleanliness in your location(s). You must have a good traffic counts, on the street, and on foot at your location. Your demographic must be clear on your end as to whom you’re targeting. You are best served having a good solid anchor tenant. All the above are semi-tangibles and intangibles if you don’t know what you’re doing. Have you ever noticed that chains often have great locations? Why is that? Luck? Nope, they do their homework and translate their research into selection of the best possible locations. They are professionals. Chains can control their location, as well as their training in regards to making the product and cleanliness. Chains generally cannot control the product, it must be made in each location exactly the same, and many times they cannot control their own advertising. 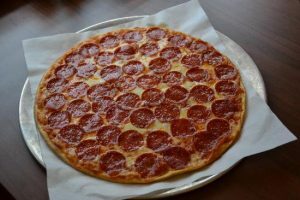 Best Pizza – What makes it the best? In my opinion? The sauce, first and foremost. Normal pizza is very basic. you have dough/bread as the crust, the sauce, made from tomatoes, you have cheese, and you have toppings. Nothing to it, right? Well, wrong. This is where Joe Shmo, working as a ditch digger, or a computer analyst, goes terribly wrong when he thinks “I can open a pizza joint and make an easy killing.” Sorry Joe, you are just as likely to sprout wings and fly to the moon. The crust has to be right, in composition, the sauce has to be right in flavor, the cheese has to be right, in age and composition, and the toppings have to be delicious. The right pepperoni, sausage cannot be the chain rabbit pellet type, the produce has to be, MUST be, FRESH. Cooking temperature and time must be right. There is a science to it, believe it or not. 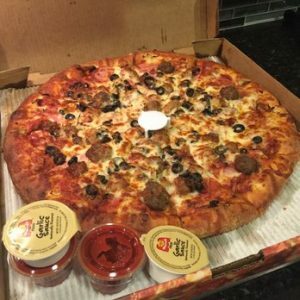 People rave about Milano’s for good reason, it is good! During busy times it can take a really long time to get served, however. I have tried it only once, due to the long wait, the high cost, and that it’s too far from me to be useful. Definitely good though! 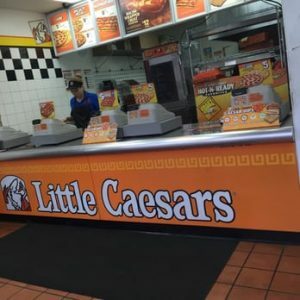 This is a franchise chain, and one of the better ones out there. Usually very friendly and quick with your food, at pick up anyway, never had it delivered. We live outside the delivery area. The crust, sauce, and cheese are good, the toppings adequate. the price is a little high too. 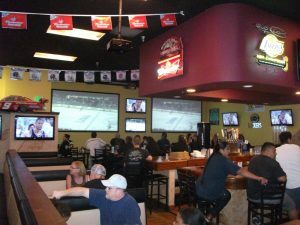 A good value for decent pizza, I usually use the West Hemet location, because the east location is usually blocked by skaters and the like. They could really do themselves a favor and lose the vinyl window ads, makes one feel like they are entering a shop of ill repute. Also the sauce scores badly due to it having a weird mushroom juice like sub-flavor that I don’t like. Remember how above I said pizza is very basic? It’s not rocket science. The crust is okay, the sauce is okay, the cheese does poorly because it is a mix of mozzarella and Muenster, and not enough, the toppings are sparse, the sausage is rabbit pellets of sausage. The value is great, the speed is good if they have pizza on hand, you know, ready. They don’t always. By the way, the unit on Florida has always tasted weird to me. I think it’s the water. This joint is so confused. Decent pizza, but it looks like a cross between Chuck E. Cheese arcade, Buffalo Wild wings, and a sports bar/pizza joint. The name doesn’t help. It used to be Big Cheese, better, but still… If your money maker is pizza and beer, call the place “Pizza And Beer”. Identity problem partly solved. I’m a giver. This place has a really odd location. It being in an office/storage yard setting, one would not ordinarily even think to go to such a place, however due to their proximity to Tri-Valley park, and the large amount of traffic that drives past daily, they do very well. The pizza is decent; the price is too high for what you get. Example, a comparable Round Table pizza is about 10% less, and is a vastly superior product. Lucky for them there is not a Round Table in town. For an after the game pitcher of ice cold beer and a pie, a good place. Located: a whole lot of places. Never been there, terrible location, yet they keep on keeping on. 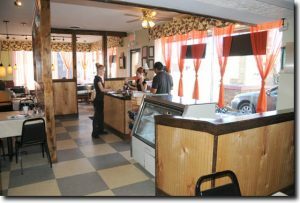 Village Pizza – closed. This was a pretty good product with maybe one of the worst locations ever. They were north of Florida on state street. Directly behind? Not much but crime. Casa Di Roma – closed. I jokingly used to call them Caca=Aroma after they started cheaping out on their product. you see, they were doing better than 40k a month in sales, being located at Ramona and State in the Stater’s center. the a partner got sick, and the remaining partner could not work 7 days a week. The he got spooked by a chain 7 FRIGGIN MILES AWAY selling crappy 5 dollar 14″ pizzas. So he cheaped out and lowered the price, bastardizing the product. Now it’s a Baja Chicken joint. The lesson here, children, is NEVER compromise a product you believe in. He tried to sell the place, I considered buying it and putting in my product, a world beater, but the $90k was out of reach, and building a business back up is WAY harder than doing it right once. Little Italy Pizza, formerly Pride of Italy. – Years ago it came up for sale, pretty much on a “make me an offer” price. Cheap, in other words, but as above, bringing a restaurant back from the dead is harder than it should be, so I did not make an offer. The food was okay, only had it once, under the former name. The demographics do not support a good pizza at a fair price, unfortunately. By the way, my recipe is for sale, for $1,000,000, and I will be happy to demonstrate it for you, or at least let you taste it for the cost of transportation. There is nothing on this list that I feel can beat it, although there is some good ones on here. Do be sure to follow us here, on Facbook and stuff.